Export Portal is a great place to find and connect with Indonesian Exporters, Indonesian Manufacturers, Indonesian Suppliers and Distributors. We have hundreds of Indonesian companies registered on the marketplace covering over 50 categories. Indonesia is characterized by a growing economy with huge opportunities for exporting and importing. It is a country of big numbers and big opportunities. 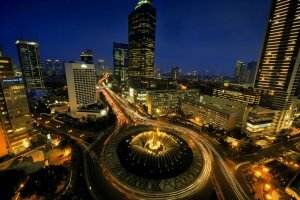 Huge and sprawling, Indonesia is the world's 16th most prosperous nation, holding huge potential for global companies. With nearly a quarter of a billion people spread across more than 17,500 islands, the Indonesian archipelago has been an important trading hub since at least the 7th century. And what does Indonesia export? The nation has generous natural resources, including crude oil, natural gas, tin, copper, and gold. Many importers around the world as well as simple buyers are looking for Indonesian Electrical Appliances, Indonesian Plywood, Indonesian Rubber, Indonesian Food Products and Beverages, Indonesian Gemstones & Jewelry and other products made in Indonesia. Export Portal is a gateway for online trading between Indonesia and other countries of the world. Export Portal is the leading trading portal which offers global companies to introduce their products to international buyers and allows buyers to search for products as well. It aims to increase foreign trade between Indonesia and all the countries across the globe interested in the trade leads provided. Trade leads can be searched by categories, products, countries or in the search bar at the top of the homepage. Main imports of Indonesia are oil and gas, nuclear reactions, boilers, mechanical appliances; iron and steel, organic chemical materials and vehicles. Main import partners are China, Japan, Singapore, Thailand and the United States. If you are looking to import products in Indonesia, browse trade leads by categories and countries. These categories include food products, apparel, footwear, computers, cars, bikes, office products and much more. Export Portal is your one stop destination for finding and contacting Global Suppliers and Manufacturers to import products easily and safely to Indonesia. 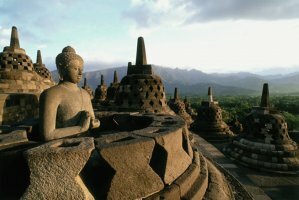 Indonesia is a country situated in Southeast Asia, between the Indian and Pacific oceans. It is the world's largest island country, with more than 13000 islands. The country has land borders with Papua New Guinea, East Timor and Malaysia. Other neighbouring countries include Singapore, the Philippines, Australia and Palau. Indonesia is a member of ASEAN, G-20, International Chamber of Commerce, World Trade Organization and other international structures. The economy of Indonesia is the 16th largest in the world according to its GDP. Export taxes have been introduced for untreated skins, tanned leather and coal. It is prohibited to export timber, certain live fishing products, untreated reptile skins, iron waste and scrap (except if it comes from the island of Batam) and animals and wild plants protected by the CITES. The government imposes duties on exports of untreated skins (25%), on white tanned leather (15%) and coal (5%). Exporters are exempted from import duties, VAT and tax on luxury products for materials and intermediate products used in manufacturing goods destined for abroad. Gold dust, ingots or bars must be inspected. Distinct licenses are required to export products to an importing country which fixes quotas on them, or which are linked to oil, and exporters of timber must give seven days' notice to the official Indonesian organization of export surveillance (Sucofindo), which carries out an inspection on the basis of the Harmonized System (HS). The most favoured countries have a tariff of 7.6%, in average. Recently Indonesia has started to ask a zero tariff for some pharmaceutical raw materials and some equipment for the print industry. In average the bound tariff is 37% but most tariffs are bound at 40%. Some products such as automobiles, steel, some agricultural products and some chemical products pay more than 40%. Spirits have a tariff of 150%. In addition to import documentation, some certificates are required. This is the case for food, seeds, pharmaceutical and chemical products. A notification to the Customs Office and electronic document submission must be done prior to the arrival of merchandise.